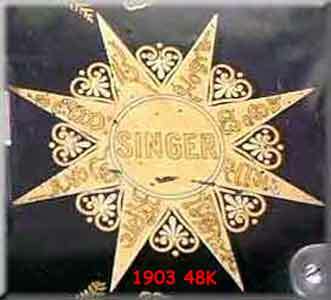 The 'Indian Star' occurs as a bed decal on Singer machines which were intended for sale on the Indian sub-continent. 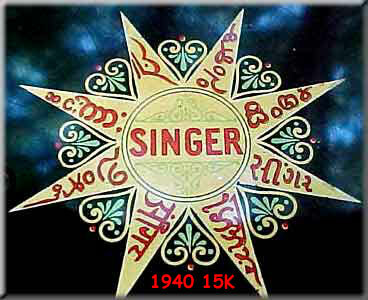 The eight-pointed star has the name 'Singer' on each point in a different Indian language. 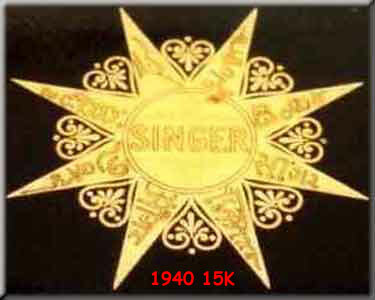 Indian Stars as they appear on various Singer models dating from 1903 to 1940 are shown below. 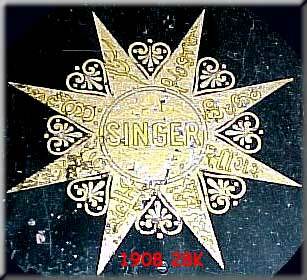 Click on each image for pictures of the complete machines.